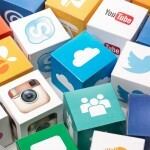 Social media use has grown significantly over the past decade, with research showing that there are 665 million daily active Facebook users, 200 million monthly active Twitter users, and many more accessing and sharing information through YouTube, blogs, and other social media channels worldwide. Social media is something that we are all aware of and plenty of businesses around the world are utilising. It is used for advertising, marketing and customer engagement. All important things for increasing revenue and ensuring that their business, brand, product and / or service is a success. When it comes to using Social Media in the Early Years sector, it might not be the first thing that you think of when it comes to appealing to and engaging with parents that entrust you with the care of their children. Particularly due to the sensitive and confidential nature of the work that you do and adhering to Safeguarding Laws. However, the truth is, if used correctly social media in the Early Years Sector can be incredibly powerful and useful. There are thought to be over 1 billion people who are active on Facebook, and whilst you will be targeting parents in your local area, this will still give you a really high level of reach and engagement. If you are a Nursery or Early Years provider, and you think that you would like to try out social media, then you will need to make sure that you use it properly. Over the past few years, with the rise of social media in the Early Years Sector and generally, it has become more and more commonplace for parents to share pictures of their babies and children with their friends and family. Of course, when you are a Nursery, Preschool or an Early Years provider you would be sharing images of someone else’s child. Uploading images can be a great way to showcase what you can offer the children that are within your care. Not only for prospective parents, but also for parents who have children that already attend it. It is important that a child is never named in an image that is uploaded and that permission is always gained from the parent of the child, in writing, before anything is uploaded. You should also ensure that there are no other children in the background. A main concern for any provider using social media in the Early Years Sector is that the children who are there are safeguarded. This is particularly true when you are sharing and uploading to social media. If you have a team of staff members who will have access to your social media accounts, then it is vital that they all understand the proper and correct use of social media accounts. A simple way to do this is to ensure that you have policies and procedures in place. These should be read, understood and signed by staff members and you should limit the level of access that your staff have to your social media accounts. For an Early Years setting, social media needs the help, support and input from both parents and staff members. Both employees and parents will become your setting’s chief ambassadors with regards to your online activity. Not only is social media in the Early Years Sector a great way to market your early years setting, but it is a huge help when creating relationships and interactions with the parents who trust you to care for their children. The main aim is always to use it properly and ensure that every child is protected! 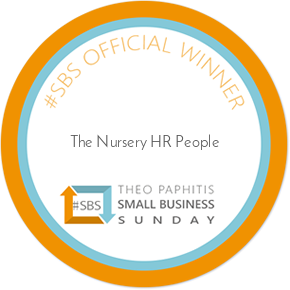 The Early Years sector can reap huge benefits from having an online presence and The Nursery HR People can assist with your queries, concerns and social media requirements. Thank you for your interest in this article and please do share with us your views on the use of social media in the Early Years Sector.